The Milan Rifle Club will be giving two NRA Basic Pistol courses in 2019. 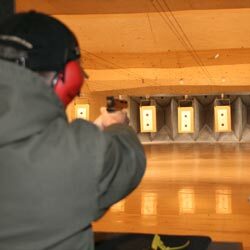 The first course will begin on April 2nd at 6 P.M. in the 25 yard indoor range and end on May 7th. The class is held every Tuesday evening for six consecutive weeks. The second course will begin on October 1st at 6 P.M. in the 25 yard indoor range and end on November 5th. The class is held every Tuesday evening for six consecutive weeks. The NRA Basic Pistol Course introduces students to the knowledge, skills and attitude necessary for owning and using a pistol safely. 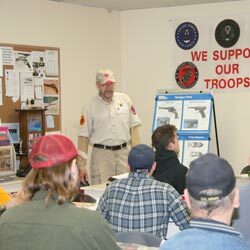 Through this course, the students will learn about pistol parts and operation, ammunition, gun safety, pistol shooting fundamentals and pistol shooting activities. The first session is a must, it will be an introduction, registration and safety period. Do not bring a pistol or ammunition to the first session. Each session will begin at 6 P.M. and end at 8 P.M. If you have a .22 caliber target pistol, you may bring it for the second session. If you need a pistol, we will supply pistols and ammunition. 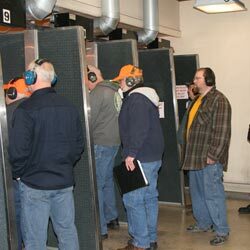 This course will be good to qualify for the Iowa CCW permit and good for the first 8 hours of the Illinois CCW permit. The cost of the course is $40 for MRC members and family. The cost for non-members will be $50. The Class will be limited to 20 students with members and family filling the first openings. To pre-register and get more information, contact Ben Lorenzen at 563-381-3309 or lorenzenben@gmail.com.